This chapter discusses the worrying increase in offshore financial flows resulting in tax evasion in the global economy. We demonstrate that offshore financial tax evasion is nothing new; it has been tolerated for decades, and its increasing scope portends a role in future crashes. The Panama and Paradise Papers reveal how individuals, multinational firms, terrorists, and criminals increasingly use offshore financial centres to hide wealth and evade taxes. While the various government and international entities have devoted considerable attention to the issue, reform efforts fail to address the fundamental drivers of offshore finance: a lack of transparency, information sharing, and tax competition. The failure of governments to work together has important implications, including creating a disproportionate burden on individual taxpayers, exacerbating inequality, raising questions of fairness, constraints on fiscal policy, and increasing resort to debt by governments. Our suggestions for reform focus on ways towards consensus, transparency, coordination, and enforcement in global financial regulation around taxation. Dubinsky, Zach. 2016a. Deals Canada Signed to Catch Tax Cheats Allow Billions in Taxes to Escape. June 17. CBC. Available at http://www.cbc.ca/news/business/canada-offshore-tax-avoidance-corporations-tiea-1.3639597 [accessed March 16, 2017]. Dubinsky, Zach. 2016b. How Canada Got into Bed with Tax Havens. June 18. CBC. Available at http://www.cbc.ca/news/business/canada-offshore-treaties-barbados-tax-avoidance-1.3641278 [accessed March 16, 2017]. Knobel, Andres and Markus Meinzer. 2014. ‘The End of Bank Secrecy’? Bridging the Gap to Effective Automatic Information Exchange. Evaluation of OECD’s Common Reporting Standard (CRS) and its Alternatives. Available at www.taxjustice.net [accessed May 31, 2017]. Love, Patrick. 2012. Price Fixing. OECD Insights. 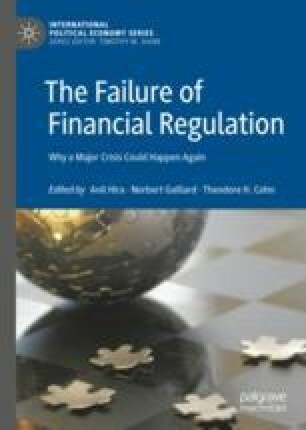 Available at: http://oecdinsights.org/2012/03/26/price-fixing [accessed October 17, 2016]. Oved, Marco Chown and Robert Cribb. 2017. Signatures for Sale: Paid to Sign Corporate Documents, Nominee Directors Serve to Hide Companies’ Real Owners. January 26. Toronto Star. Available at http://projects.thestar.com/panama-papers/canada-signatures-for-sale [accessed March 17, 2017]. Seglins, Dave, Rachel Houlihan, and Zach Dubinsky. 2017. ‘Tax Haven’ Canada Being Used by Offshore Cheats, Panama Papers Show. January 25. CBC. Available at http://www.cbc.ca/news/investigates/panama-papers-canada-tax-haven-1.3950552 [accessed March 17, 2017]. Tax Justice Network. 2009. In trusts we trust [blog post]. July 22. Available at http://taxjustice.blogspot.ca/2009/07/in-trusts-we-trust.html [accessed August 4, 2016].